Snooker’s Betfred World Championship, which finished on May 1st after 17 days of action at the Crucible in Sheffield, scored increased viewing figures on both BBC and Eurosport. Mark Selby won the title for the third time in four years, beating John Higgins 18-15 in the final, at the end of a tournament packed with dramatic matches and snooker of the highest quality. On BBC, the peak audience for the final was 4.2 million, up from last year’s 3.9 million. Across the whole tournament, the BBC’s average audience was 9% higher than it was in 2016, and the average live audience was 3% up. Eurosport, which broadcast over 330 hours over the 17 days, registered a peak figure of 2.5m during the final with a total audience reach of over 6.9 million viewers, and an average live audience of 1 million across the tournament. The channel, which broadcasts across the continent, reported record average live audience numbers in Poland ( up 39% on last year) and Norway (up 14% on last year) while in Spain the average live audience showed a huge increase of 88% compared with 2016. World Snooker Chairman Barry Hearn said: “We are thrilled with these figures from two of our most important broadcasters. 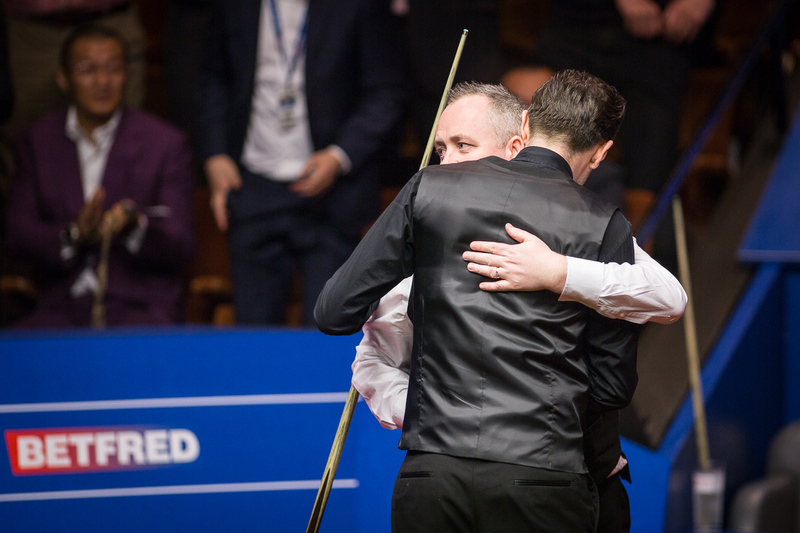 This year’s Betfred World Championship was a fabulous tournament with so many thrilling moments and tremendous matches. The production values on BBC and Eurosport have been superb throughout the season. The Betfred World Championship was also broadcast live in Middle East and North Africa, China, Thailand, Hong Kong, Mongolia, New Zealand as well as streamed on Facebook live through North and South America, the Caribbean and Indian Sub-Continent.